In my recent 'Cerebral Wilderness' series, I juxtaposed the unknown self as landscape and our collective uncertain future climate. 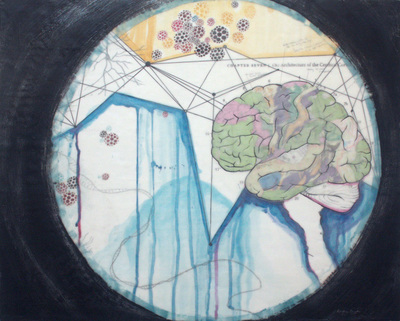 I combined century-old maps of the brain (Brodmann and Phrenology), diagrams of glacial melting on Mt. Hood and topographic maps of the Mt. 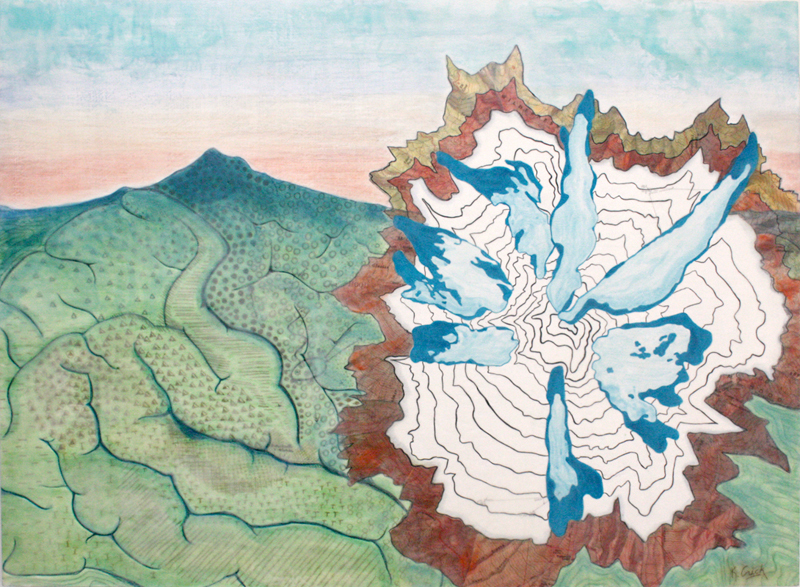 Hood wilderness. 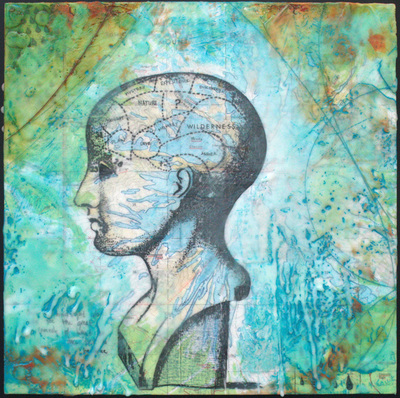 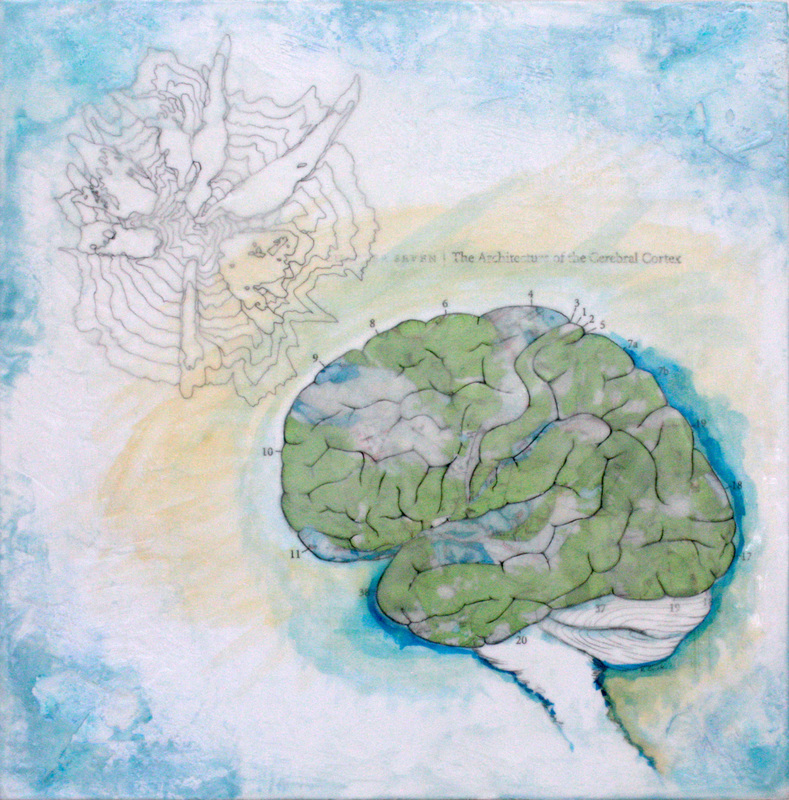 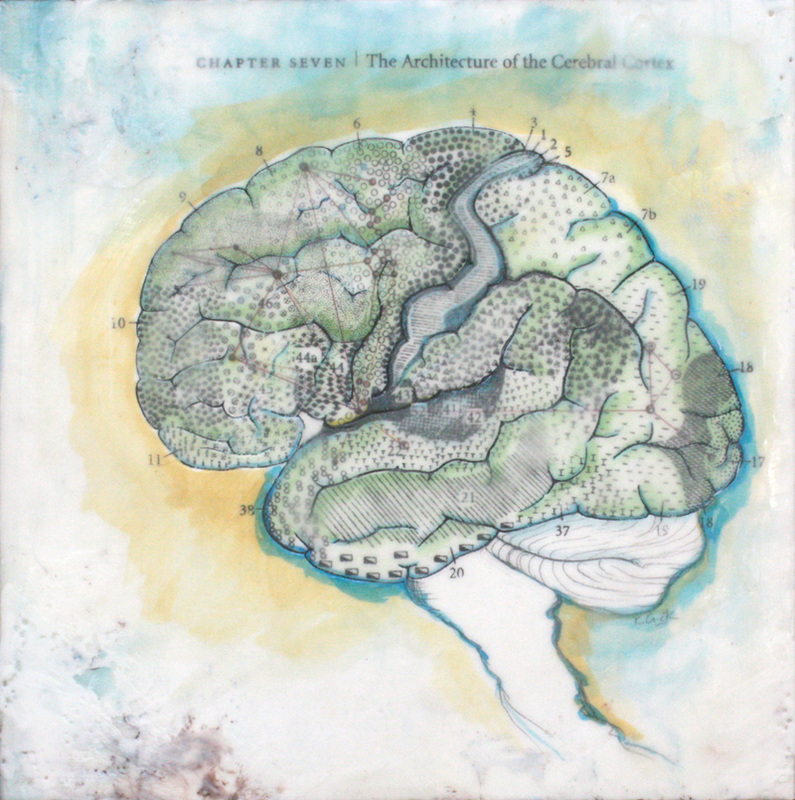 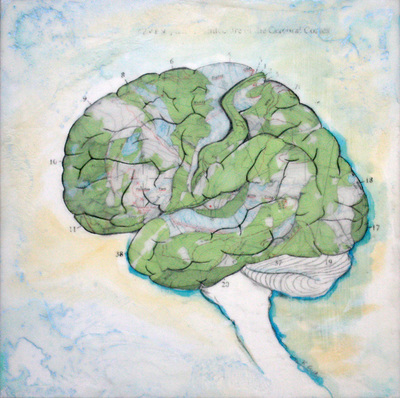 The re-imagined Brodmann's maps of the brain are reminiscent of traditional geographic cartography and convey the unique power of our imagination to envision solutions for our changing climate and simultaneously represent the expansive wilderness contained within our own minds. Our knowledge of ourselves and our environment are inextricably linked as changing landscapes transformed by scientific discovery.